Interesting pictures that are fascinating from the standpoint of both happy and or sad..
Dachau, the first Nazi concentration camp, opened in 1933, shortly after Adolf Hitler (1889-1945) became chancellor of Germany. Located in southern Germany, Dachau initially housed political prisoners; however, it eventually evolved into a death camp where countless thousands of Jews died from malnutrition, disease and overwork or were executed. In addition to Jews, the camp’s prisoners included members of other groups Hitler considered unfit for the new Germany, including artists, intellectuals, the physically and mentally handicapped and homosexuals. With the advent of World War II (1939-45), some able-bodied Dachau prisoners were used as slave labor to manufacture weapons and other materials for Germany’s war efforts. Additionally, some Dachau detainees were subjected to brutal medical experiments by the Nazis. U.S. military forces liberated Dachau in late April 1945.On April 29, 1945, the United States military entered Dachau, where they found thousands of mostly emaciated prisoners. The U.S. soldiers also discovered several dozen train cars loaded with rotting corpses. Meanwhile, those who survived the Tegernsee death march were freed by the Americans on May 2. 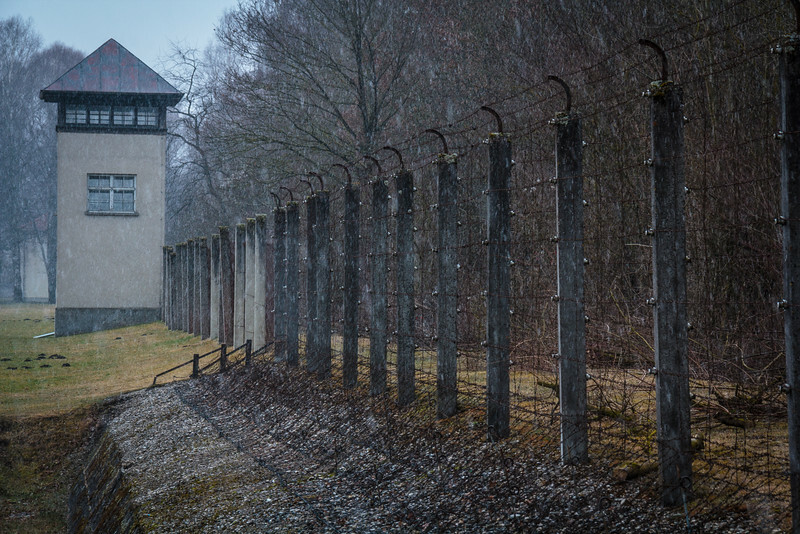 During the entire time in which Dachau served as a concentration camp and death camp, over 200,000 prisoners were cataloged as having passed through its gates. An inestimable number, running into the thousands, never were registered, making it impossible to know exactly how many people were imprisoned at Dachau and how many died there.